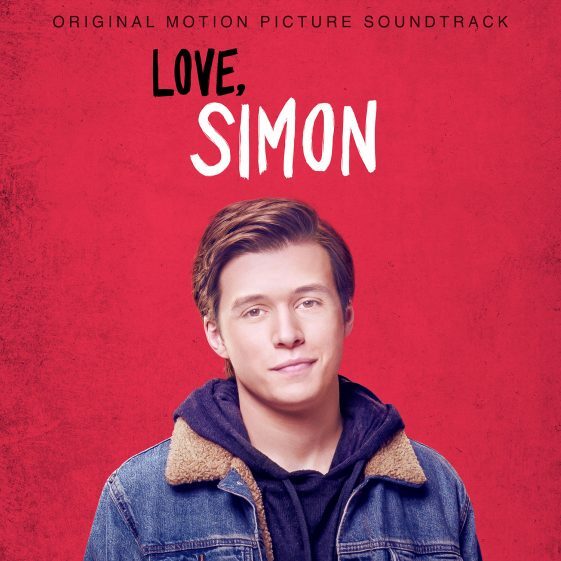 (Los Angeles, CA)—Today, Bleachers release the first single off of the soundtrack for the forthcoming 20th Century Fox film, Love, Simon entitled “Alfie’s Song (Not So Typical Love Song)” via RCA Records. The soundtrack, which is being executive produced by Bleachers’ Jack Antonoff, will be released on March 16th, 2018 via RCA Records and is available for pre-order now at all digital retail providers. “Alfie’s Song (Not So Typical Love Song)” will also be available as an instant grat for those who pre-order the album. See full track listing below. 20th Century Fox is releasing Love, Simon in theaters nationwide on March 16th, 2018. Bleachers released their second album on RCA Records entitled Gone Now on June 2nd, 2017. The first single “Don’t Take The Money” hit #3 at Alternative Radio. Ahead of the album release, The New York Times put out a piece that called Bleachers’ new music “anthemic life-affirming pop-rock”. Bleachers headlined a North American tour in support of the album, which included a number of major festival dates like Sasquatch Festival, Governor’s Ball, and Firefly Music Festival. In addition, they headlined two legs of their “Gone Now Era” Tour. The band will also continue touring in the spring in support of P!nk. This past spring, Bleachers performed “Don’t Take The Money” on the outdoor stage on Jimmy Kimmel Live!, on The Tonight Show Starring Jimmy Fallon. They also performed on Good Morning America’s Summer Concert Series, and most recently on The Late Show With Stephen Colbert. Three-time Grammy®Award-winning singer, songwriter, musician, and producer, Jack Antonoff, is the creative force behind Bleachers. Jack Antonoff is a three-time Grammy®Award-winning singer, songwriter, musician, and producer, as well as the creative force behind Bleachers. After serving as lead guitarist in multi-platinum band fun., Antonoff launched his solo project Bleachers in 2014 with the critically acclaimed debut album Strange Desire. The album found him setting emotional meditations on anxiety, depression, and loss against a backdrop of earworm melodies and massive choruses on songs like the gold-certified “I Wanna Get Better” (which topped Billboard’s Alternative chart) and the #3 Alternative radio hit “Rollercoaster.” Antonoff toured the world for a year and a half in support of Strange Desire, building a cult fan base for his cathartic, suburban influenced anthems. Recently, Bleachers released their sophomore album entitled Gone Now via RCA Records. The album received critical acclaim from the likes of The New York Times, which called it “anthemic, life-affirming pop-rock”, and Pitchfork, which stated “From beginning to end, Gone Now has all the affectations of an over-the-top pop masterpiece”. Gone Now includes the band’s previous single, “Don’t Take The Money”, which hit #3 at Alternative Radio, as well as their current single, “I Miss Those Days”. Most recently, Bleachers released their MTV Unplugged album via RCA Records, which features live audio from their performance on the second episode of MTV’s Unplugged. The album includes new Bleachers material, as well as a special versions of “Don’t Take The Money”, “Hate That You Know Me”, and “Shadow”. In addition to his work with Bleachers, Antonoff is an in-demand songwriter and producer for other artists, including Taylor Swift (he co-wrote and co-produced three songs on Swift’s Grammy®-winning album 1989 including “Out of the Woods”, along with a number of songs on her recently released album Reputation including “Look What You Made Me Do”, “Getaway Car”, “Dress”, “Call It What You Want”, and “New Years Day”), Sara Bareilles (co-wrote her Grammy®-nominated hit “Brave”), Zayn (co-wrote and produced his No. 2 Hot 100 duet with Taylor Swift, “I Don’t Wanna Live Forever”), Lorde (co-wrote and co-produced her new album Melodrama), worked with P!nk and St. Vincent on their new albums, as well as with Sia, Tegan & Sarah, Carly Rae Jepsen, Troye Sivan, Grimes, and more. Jack has also been nominated for two 2018 Grammy Awards as a producer and songwriter for Album of the Year for Lorde’s Melodramma, and a as a songwriter for Best Song Written for Visual Media for “I Don’t Wanna Live Forever” (Fifty Shades Darker). He was also named one of Entertainment Weekly’s 2017 Entertainers of the Year. Antonoff also founded and curated the annual “Shadow of the City” music festival, which takes place in Antonoff’s home state of New Jersey in the parking lot of the Asbury Park Stone Pony. In addition, this year Simon & Schuster will publish Antonoff’s first book, Record Store — a heavily illustrated anthology of essays, interviews, photographs, and ephemera that will pay tribute to the cherished and endangered cultural institution. Antonoff is also a passionate advocate for Planned Parenthood and LGBTQ rights, having collected signatures from 142 high-profile artists, writers, and creators to deliver a message to legislators in Texas considering anti-LGBTQ laws. He is a co-founder of The Ally Coalition (TAC), which encourages allies of the LGBTQ community to take action for LGBTQ equality and support its causes. TAC has raised hundreds of thousands of dollars over the last few years for local LGBTQ homeless shelters around the US.